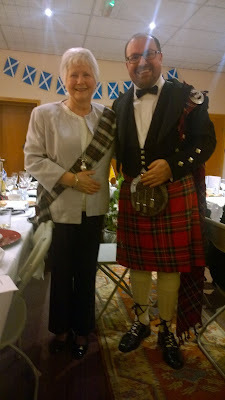 - though we are not quite certain as to how one rides a horse in a kilt! 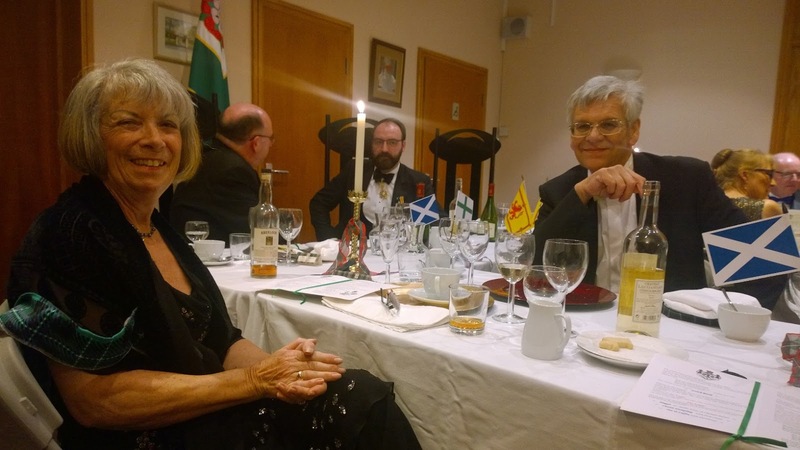 Members and friends of the Grand Priory of Great Britain gathered in Lancashire recently for what has become our annual Burns' Night Supper. 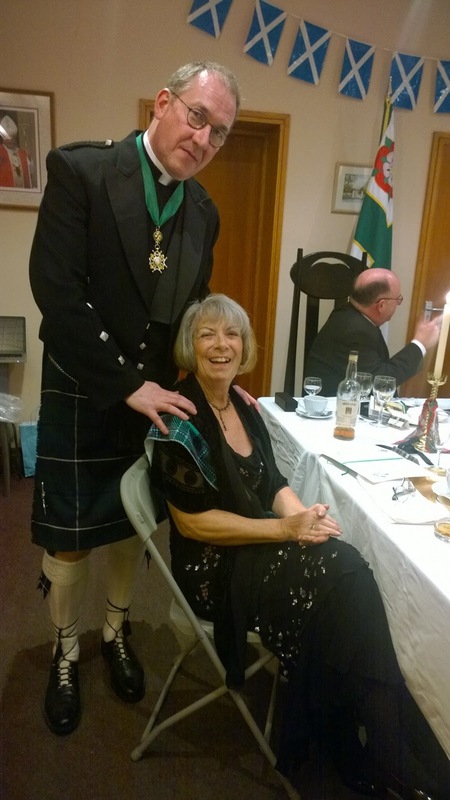 We raised a splendid £767 for our the work of the Order - this year including Cardinal Ranjith's leprosy charity SUROL and the Armed Forces Charity BLESMA. 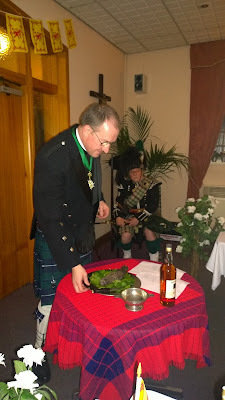 Chancellor Fr Mark Lawler gave the "Address to the Haggis"
The fine dining was prepared by members Margaret and Daniel Lawler with costs of the food and wine also covered by donations from members Elizabeth and William Douglas and Damien and Trish McGrath. Of course, no Burns' Night is complete without a piper and we are fortunate to number one amongst our most colourful members, our Hospitaller Chev. 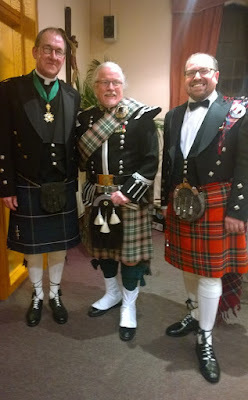 William Hackett KLJ MMLJ, sporting the his very own Hacket hunting tartan. Conf. Damien McGrath looking slightly pensive as he prepares to give the "Address to the Lassies". He needn't have worried. He and his good lady Cons. Trish McGrath composed the "Address" and the "Lassies Reply" with a much appreciated conceit on Eve being created first and only allowing Adam to think he came first to assuage what even the Lord apparently accepts as the male's proud and boastful nature! of which he is the National Director. were songs rendered in fine voice by Chev. Anthony Dickinson KLJ.